Adam Jones: SHOULD WE LOWER THE VOTING AGE IN THE UK? There’s a general belief amongst young people that they should be able to vote when they’re 16 (I know, I thought that a couple of years ago), but why? The majority of young people have no idea how the political system even works and are heavily influenced by the media and the views of their parents, so how could they possibly make an informed decision about who to vote for? 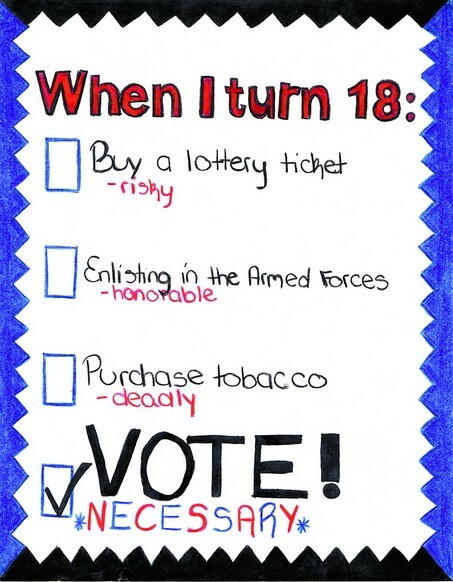 When I was 16, I – like many of my friends – thought I should be able to vote. But had I have been able to, how would I have decided which way to vote? Should I listen to my parents, the newspapers or my friends? All of these options would’ve been available, but I wouldn’t have made the decision – it would just have been a reflection of those I had taken advice from. The only way you can make an informed choice is to learn about politics and I think politics lessons should be made compulsory throughout secondary education. Now, that may seem boring to some young people, but it would benefit everybody. Future voters would learn about the political system, background to the main parties, pivotal events in political history and numerous other elements. This would encourage young people to become more politically aware, more politically involved and more likely to vote when they turn 18. The first political education I got was when I opted to take Government & Politics at A-Level. Before that, I knew very little about politics. To have been given the vote before learning even the basics would’ve given me the ability to make a decision without any unbiased guidance. 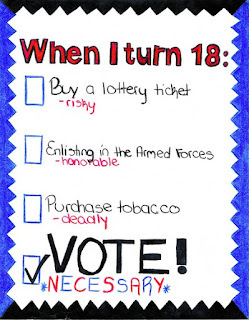 If the voting age was 16, I would probably have done lots of research so I could make an informed decision, but how many young people can honestly say they would do the same thing? Not very many, I would assume. Also, some young people would probably abuse their right to vote, perhaps voting for extremist parties without realising what the possible consequences of their actions could be. (I’m not saying it’s wrong to vote for more extreme parties, but some young people might vote for them just because “it’s cool”). So, I firmly believe that the voting age should remain at 18, but politics lessons should be made compulsory in high school in order to create more awareness and engagement amongst young people.